Alexa, call Tom on Skype. 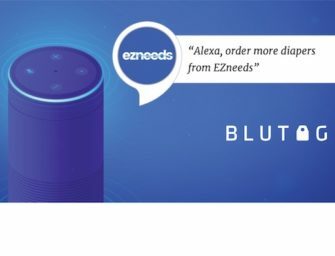 Alexa, pick up. Alexa, call 206-555-0155 on Skype. Once Skype and Alexa accounts have been linked, Microsoft says users will receive 200 minutes of free calls per month for 2 months in 34 countries. Additional talk time will require payment. In order to set up Skype for Alexa, users must go to the Amazon Alexa app on their Android or iOS device. Under Settings > Communication > Skype, users will be able to sign in using the same Microsoft account used for Skype. The world is big and so multifaceted. There are going to be multiple successful intelligent agents, each with access to different sets of data and with different specialized skill areas. Together, their strengths will complement each other and provide customers with a richer and even more helpful experience. In a follow-up, Amazon announced about a week ago that any compatible Windows 10 device can tap and talk to Alexa with the Alexa for PC app available in the Windows store. Back in August, only select PCs came preinstalled with the Alexa feature. Days after, Microsoft also began selling Echo devices in its U.S. retail stores. In September, the capability to use voice control to access Xbox games and services through Amazon Alexa and Microsoft Cortana skills for “select Xbox U.S. Insiders” was announced by Microsoft.